First of all I want to thank the publisher for the opportunity to read this book. I was intrigued when I saw this on NetGalley so I immediately requested this. The blurb and book title was catchy. I do want to know what were their secrets so...I decided to proceed reading this one. I don't read much mystery related book but this one is an exemption, I enjoyed reading this. It was confusing at first but the story changes fast and the reader will be able to catch up right away. If you'll look at the details closely you'll be able to pick up the clues from what happened that night when Kit disappeared. The story wasn't that long either and it was straight forward mostly it was focused on finding how Kit died. Another thing I loved about this book was how Clem, Jake and Ellie found closure with each other. After all the things that happened to them, they still had each others back. 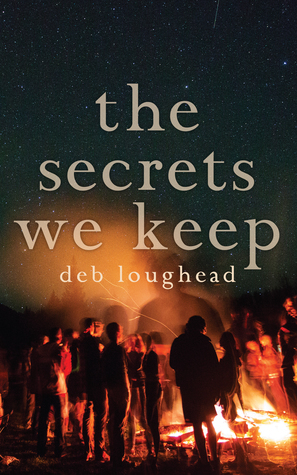 Deb Loughead, a Toronto author, poet and workshop leader, has been writing since she learned how to read. In fact, she’s saved everything she’s ever written, including her very first composition entitled “A Narrow Escape for a Mouse” which she often reads during her classroom visits! As of 2015, Deb has published over 35 books for children and Young Adults.